Cara is a Board Certified Behavior Analyst at Building BLOCS. Cara received her Bachelor’s degrees in Psychology and Sociology from the University of Maryland, Baltimore County in 2009. She began working as an ABA therapist in 2008 and continued this work with an early intervention program after graduation. She then accepted a full time position with Kennedy Krieger’s LEAP program, a school for individuals on the autism spectrum who display pervasive behavioral challenges. 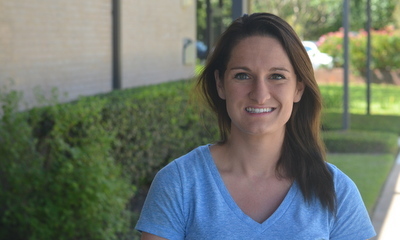 After 3 years with Kennedy Krieger, Cara moved to Austin where she received her Master’s degree in Special Education with a concentration in Autism and Developmental Disabilities in 2014. When she’s not working at Building BLOCS, Cara enjoys playing with her 2 dogs, yoga, cooking, and exploring Austin. She is so grateful to have the opportunity to do such fun and meaningful work and is happy to be a part of the Building BLOCS team.